Ambassadors are highly visible, prestigious volunteers who serve as the Chamber’s primary liaison to new Chamber members. build lasting relationships with the membership, particularly new Chamber members in order to build a loyal, committed membership base that will continue to support, participate with and invest in the Chamber. Complete application, attend one Ambassador meeting so the committee can meet and vet candidate, hen sign annual commitment. The Health & Wellness peer group will consist of Chamber members in the health and wellness industry. We will establish agendas and actively educate Southfield Area Chamber members and the community on the impact healthy living, and the resources available to live a healthy life. Interested volunteers should inquire to the committee chair or co-chair. The purpose of the Southfield Area Hospitality peer group is to provide the hospitality industry with a safe space to connect, learn and grow. To educate hotels businesses and support opportunities that can benefit their establishments. Interested members or potential speakers should inquire to the committee chair, co-chair or Chamber Director. The Membership committee team works to grow and retain Chamber members. Committee members often choose either prospecting, or active-member outreach, as their primary form of involvement, but have the option to do both if desired. Recruitment volunteers provide introductions to prospective members to join the chamber, and the Outreach volunteers meet with members who’ve been active for over 1 year and survey them in order to better connect them to chamber resources, services, and opportunities. This peer group is organized to promote the sustained vitality, enhancement, and development of the Chamber’s nonprofit member civic and community service organizations. The peer group provides support to the nonprofit membership community; fosters a cooperative and constructive business environment among its members; provides networking opportunities for its members; promotes the exchange of ideas among its members; supports other activities needed to further the business success of its membership; and, promotes the sector’s positive impact on the Southfield Area community. Interested volunteers should inquire to the committee chair, co-chair or Chamber Director. The purpose of the SYP Board is to drive the direction of SYP, including, but not limited to: planning events, securing speakers, locations/hosts, and partners for events, finding non-profits to work with and determining relevant topics for leadership development. Board consists of 10 YP’s and a Chamber staff liaison. IF there are openings on the Board, you can connect with Chamber liaison or Chairperson of SYP. The Strategic Planning Committee assists the board with its responsibilities for the organization's mission, vision and strategic direction. Process, including development of a three to five year strategic plan with measurable goals and time targets. 5-7 members, including; Chamber Director, business coach, 3 board members and one non-board member. The Member Advocacy committee team will keep the member business community informed of important issues through newsletters, policy reports, political events and policy committee meetings. 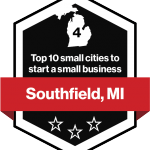 They will establish agendas and actively educate Southfield Area Chamber members and the community on the impact that government decisions can have on a community. The committee will advocate for the best interests of the Chamber Member and community in critical decisions by government entities. Identify a priority list of issues that will be tracked. The priority is established through committee discussions and input from local business leaders and owners. Pursue dialogue with local, regional and state legislators. Based on those discussions, provide businesses with relevant information to help them navigate future decisions. Track legislation that impacts chamber members and inform the membership of potential changes or creation of new laws.